Japanese carmaker Nissan will release its first European car with driverless capabilities in January 2018, after proclaiming it to be "the most advanced electric vehicle for the masses"
On September 6, Nissan revealed the new iteration of its Leaf electric car will offer autonomous driving technology and a longer battery life at a mid-range price of $28,000 (€23,460). The new Leaf is scheduled to be on sale in Japan from October 2 and enter the European market in January 2018. While the Leaf doesn’t have full driverless capabilities, it represents Nissan’s first foray into the European autopilot technology market. Its ProPilot feature enables the car to perform certain tasks alone, including single-lane driving, navigating stop-and-go traffic, and parking. When the parking feature is activated, drivers can relax as the car’s computer takes full control of steering, acceleration, braking and gear selection. The worry for Nissan, however, is that ‘range anxiety’ will dampen excitement over the new release. The new enhanced Leaf has a somewhat superior battery life to previous models, with a possible range of 150 miles on a single charge. While this is an improvement on the 107 miles covered by the previous version, it still leaves Nissan’s new release some way short of Tesla’s entry-level model 3, which offers a range of 220 miles at a similar price tag of $35,000 (€29,325). What’s more, Tesla’s Chevrolet Bolt – priced at $37,000 (€31,000) – has a range of 238 miles. The mass market for electric cars is yet to reach a turning point, with charging infrastructure, range and mileage continuing to weigh on the minds of consumers. However, according to the Financial Times, Nissan President Hiroto Saikawa is optimistic, stating the new Leaf has “real potential to become the core of the company”. 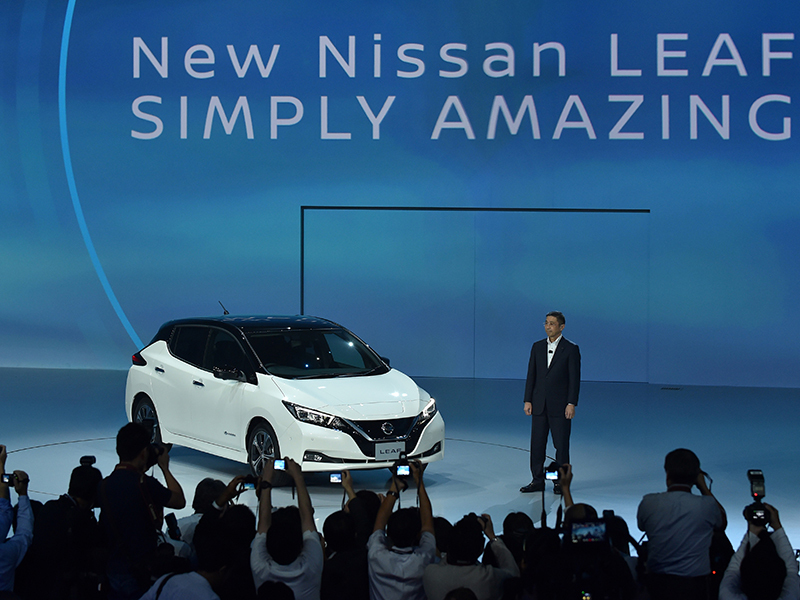 The company has further proclaimed the Leaf to be “the most advanced electric vehicle for the masses”, and Nissan hopes the new model will more than double its sales volumes for the Leaf model.